This was super quick and easy to do. Start with spraying your pumpkin white. 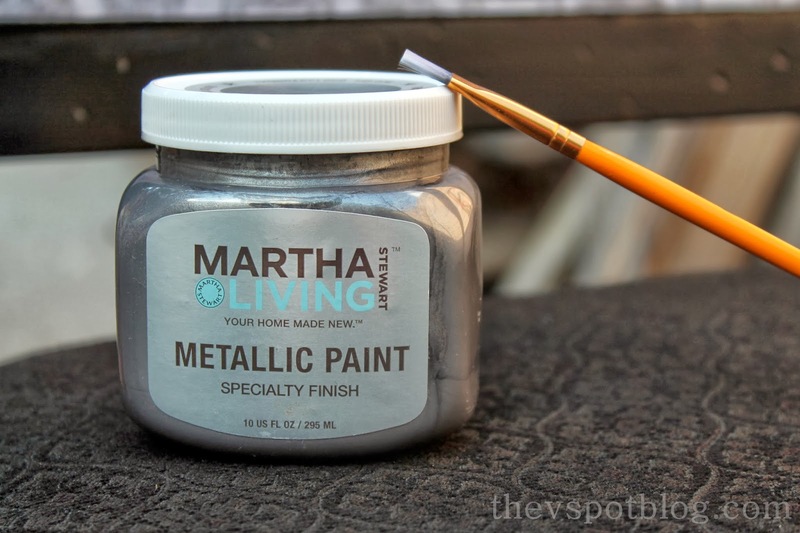 When dry, paint the stem a dark color and add a nice glaze of the silver metallic paint over the whole pumpkin. 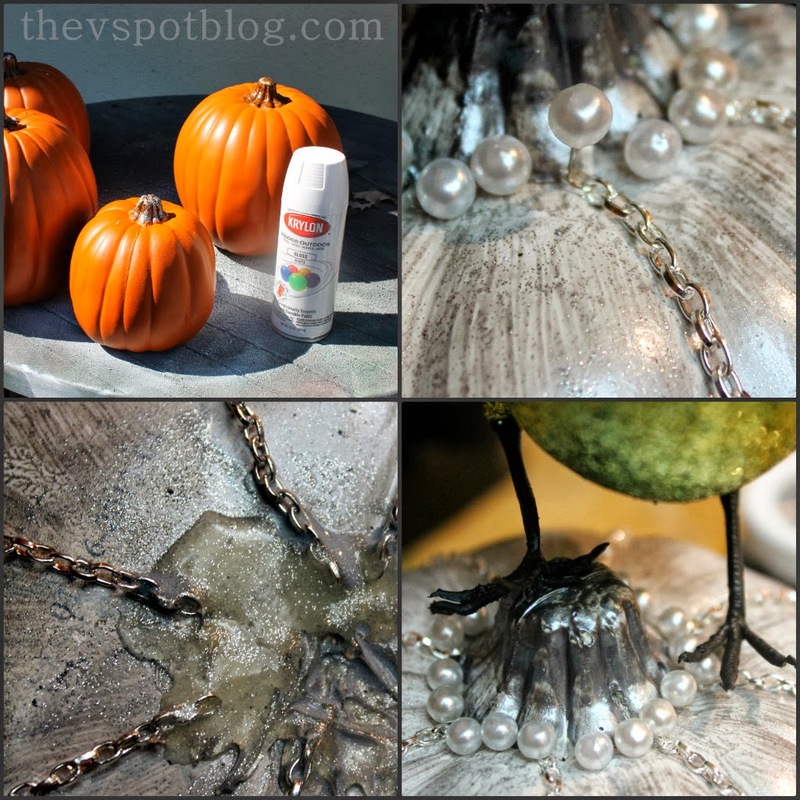 When the coat of metallic paint is dry, take one of the floral pins and push it through the end link of the chain and attach it at the base of the pumpkin stem, pushing it all the way in. Make sure it lines up with one of the natural vertical lines on the pumpkin. 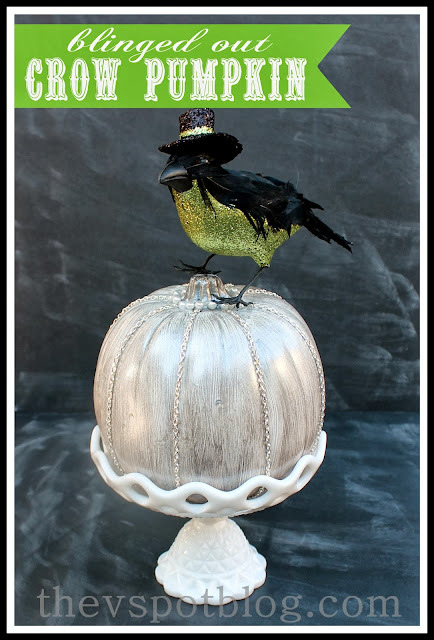 Next I added in more floral pins around the base of the stem (just to make it look a bit more bling-y) and added the crow by pressing the wires on his feet into the pumpkin. If your bird doesn’t have these wires, you can use hot glue for this, but be sure to be nice and neat about it. I like him and I think he’s fun. What do you think? Totally cute! I love the glittery crow, and yes the hat makes him! The green is perfect too. Spooktacular.